Below is list of the Generous small businesses and families that have donated auction and raffle items. Probably missing a couple here as we're still going through everything. We'll be able to take credit card tomorrow night and I believe there's an ATM Machine there. If you haven't picked up your tickets, you can grab them through EventBrite. For more info on the party, scroll down past this post to our FAQ post. If you have additional questions, email Matt York at mattyorkpembroke@gmail.com. Keurig K250 Reusable Pod and Coffee - Coletta & Cutler LLC. The party will take place next Friday, December 9th at 7 p.m. at the Pembroke Country Club. Here's quick rundown of everything you need to know. If you still have questions, contact Matt York at mattyorkpembroke@gmail.com and we'll get you an answer. What about tickets? Tickets can be purchased at the door. However, we recommend you consider buying tickets in advance ($15 for individuals, $25 for families) online at this link. It will just help us get everybody through the door faster. Money is tight this year, is there a way I can have the admission fee waived? Yes, a generous family in Pembroke donated money to help those that might need a little bit of financial assistance get in for free. If you'd like to take advantage of that, please email mattyorkpembroke@gmail.com and we'll put you on the list, no questions asked. I can't attend but would like to donate? 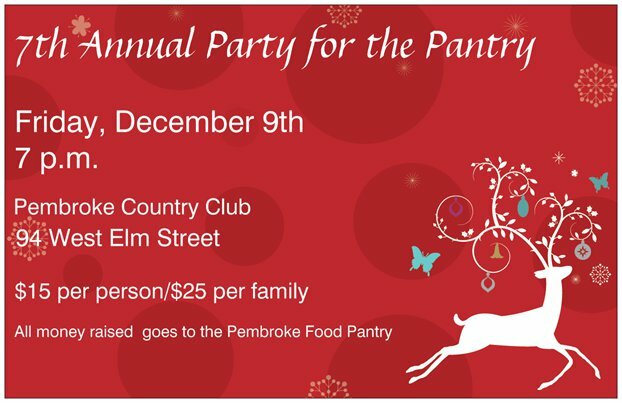 You can donate to the Pantry by going through our Eventbrite page https://www.eventbrite.com/e/2016-party-for-the-pantry-tickets-28622988128?aff=eac2 or mailing the Pantry a check directly to the Pembroke Food Pantry at P.O. Box 295, Pembroke, MA 02359. Should I bring canned goods? You should. Janet LaBerge from Good Deeds/Dirty Deeds will have her truck set-up in front of the entrance. There should be people there to assist put the food in the truck. You can also bring a dessert for people at the party to share. We had a lot of desserts last year and it was fun. How do I pay? You can make checks out directly to the Pembroke Food Pantry. We also accept cash and credit cards. All money and food that we collect goes directly to the food pantry. I have kids, will they have something to do? They will have a ton of things to do. We have Santa Clause there. 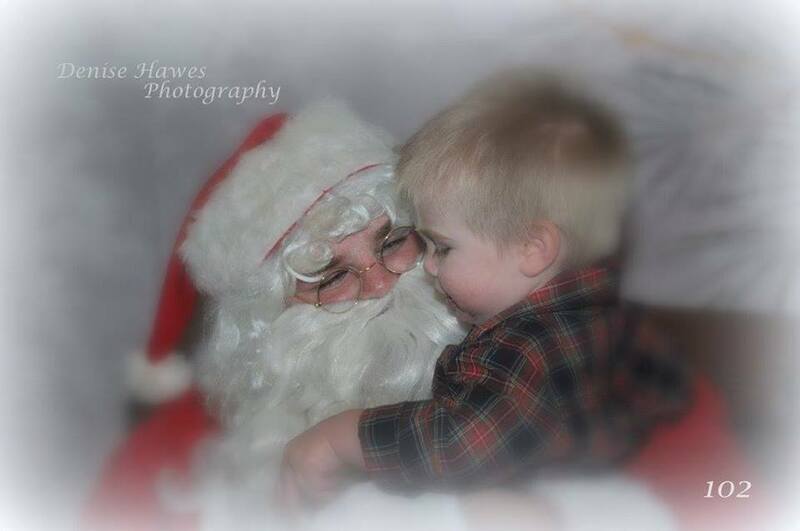 Denise Hawes Photography will be taking pictures of the kids. Funtastic Faces will be doing free face-painting. There will be arts and crafts for the kids and we'll have twelve members of the high school wind ensemble playing some live Christmas music. I don't have kids, should I go? You should go. We have a cash bar, free appetizers and desserts. We have many different auction and raffle items, a 50/50 raffle and a DJ. How long does this party last? The party generally runs from roughly 7-10. I have more questions what should I do? Email Matt York at mattyorkpembroke@gmail.com. You can now purchase tickets in advance for this year's 2016 Party for the Pantry. The tickets can be purchased through Eventbrite. They are $25 for families and $15 for individuals. Click here for tickets. This year's party will be held on Friday, December 9th at the Pembroke Country Club. The 7th Annual Party for the Pantry will take place on Friday, December 9th, 2016. It will be held, once again, at the Pembroke Country Club and will begin at 7 p.m. The Pantry Party raises money and collects food for the Pembroke Food Pantry. This is a family event. There will be free faceprinting courtesy of Fantastic Faces who once again will be donating their times and talents. Also volunteering her services again is Denise Hawes who will be taking photographs with Santa. Will have more info in the coming weeks. If you haven't liked our Facebook page, please do so at www.facebook.com/partyforthepantry. If you are interested in donating a raffle or auction item, please contact Matt York at mattyorkpembroke@gmail.com. If you haven't attended before, check out the pictures from last year's party at https://www.facebook.com/denisehawesphotography/photos/?tab=album&album_id=968300346539402. (2) Day Passes for Water Wizz courtesy of Tiny and Sons. Basket of fun from Dunkin' Donuts of Pembroke. A Month Free Membership at Salt Shack CrossFit of Hanover. Athletic Revolution $100 Gift Card for non-current members. If you'd like to purchase tickets online, you can now do so by clicking this link. Tickets for a family are $25. For individuals, they are only $15. If you would like to make donation to the pantry, you can also do so through that link. The best way to keep up to speed is by "liking" our Facebook Page.